When we first started Bon Chovy Fishing Charters in 2005, we just wanted a way to get on the water as much as we could! We bought a boat, did a few charters, and soon realized we were on to something! In successive years, we built up our reputation, business and our fleet. In 2019, we are the biggest fishing charter company in Vancouver, BC and have the most up to date fleet in the area. We are committed to our clients and committed to salmon conservation. We are leaders in salmon conservation and research in the sport fishing industry. Our objective is simple. We aim to be the best in Vancouver's local salmon fishing. Our experience and enthusiasm will do just that. We take pride in every piece of bait we put down. We are not just another cruise; we take our job seriously. Our aim is to make our trips fun and the fishing productive. Our attention to detail while fishing and in customer service is what sets us apart from the others. 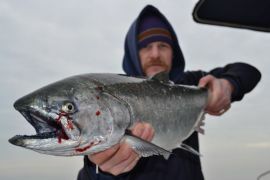 Our guide team is comprised of some of the most experienced salmon fishing guides in British Columbia. Bon Chovy Fishing Charters was spawned by the passion for Vancouver's local salmon fishery by the principals of the company. Jason Assonitis and Jeff Copeland have been avid saltwater fishermen since a young age. Their enthusiasm for the sport of fishing and the natural environment is what guarantees guests a first class fishing experience. They have one of the most experienced guide teams in British Columbia to support the operation. 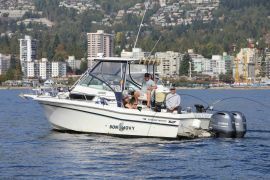 When fishing with Bon Chovy Fishing Charters in Vancouver, you are in capable, experienced hands. 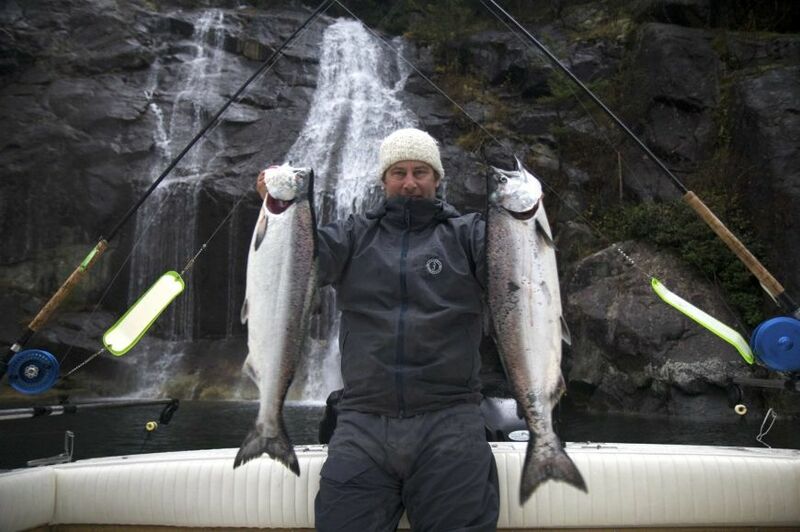 Jason Assonitis has been a professional salmon fishing guide for the past 22 years. His desire to experience the vast range in British Columbia's coastal fishing has led him all over the B.C. coast. Jason is also Transport Canada certified 60 ton Master Mariner. You can be assured that his local knowledge and diverse experience will provide the best opportunity possible to put you into fish. Jeff Copeland has enjoyed 19 seasons as a professional salmon guide. Jeff has immense local knowledge stemming from his young introduction to the local fishery by his father. He applied his skill and desire for fishing and secured a position at a local charter company. Here he refined his local fishing knowledge within site of Downtown Vancouver. Jeff's attention to detail has made him one of the top rods in the local Vancouver salmon fishery.